UPDATE: This post, from Wednesday, was so wrong and needed such a major correction that I'm leaving the original below for historical purposes. The corrected version, Thursday, is above. Data on Dutch wiretaps has been released for the first time. 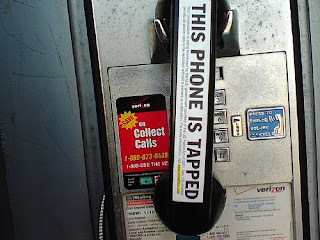 National police tapped roughly 25,000 phones in 2007*. Those are taps authorized by a judge, not counting intelligence agency taps. By comparison, there were 2,119 such taps in the United States in 2007. But considering that the U.S. population is roughly 20 times bigger than the Dutch population, Dutch cops are, like, (whips out pocket calculator) 235 times more tap-happy here than U.S. cops are. U.S. law enforcement also gives a breakdown of how many arrests per wiretap they average. Somewhat surprisingly, if I read the table right, that figure is about 2 arrests per wiretap. 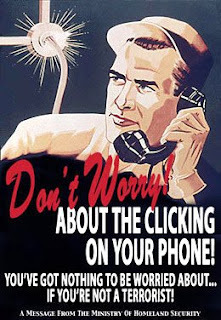 This may be somewhat misleading, since U.S. wiretaps involve 94 people on average (! ), which I guess means that they are often going after gangs and/or tapping everybody even tangentially related. Anyhow. I really hope that when the Dutch data is published we can compare their success rate. The Oracle of Amsterdam predicts: it's going to turn out to be much lower here, because with no public scrutiny, the Dutch cops have been going on fishing expeditions, in lieu of actual investigative work. That's my instinct. We'll see.